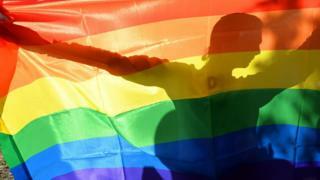 LGBT campaign group Stonewall says the current system is "demeaning and broken". Equalities Minister Justine Greening said when it was first introduced, the Gender Recognition Act was "cutting edge" but now it needs to be updated. "This government is committed to building an inclusive society that works for everyone, no matter what their gender or sexuality, and today we're taking the next step forward. Labour leader Jeremy Corbyn said the fact the government had listened to activists was "welcome". He tweeted: "@UKLabour will support any law to improve rights of trans people". Suzanna Hopwood, a member of the Stonewall Trans Advisory Group, said reform was a key priority for removing "huge inequalities" for trans people. "It's vital that this reform removes the requirements for medical evidence and an intrusive interview panel, and finally allows all trans people to have their gender legally recognised through a simple administrative process."